During the winter, South Dakota crop farmers are busy reviewing how their crops performed the previous year and making plans for the next growing season. After harvest, farmers calculate how much corn, soybean, wheat or other crops were produced on their field. Crop yield is the term for the amount of harvested production per unit of land. In the U.S., crop yield for grain and oilseed crops is typically measured in bushels per acre. Acre– unit of land used to measure cropland in the U.S. An acre is 4,840 square yards, and there are 640 acres in one square mile. 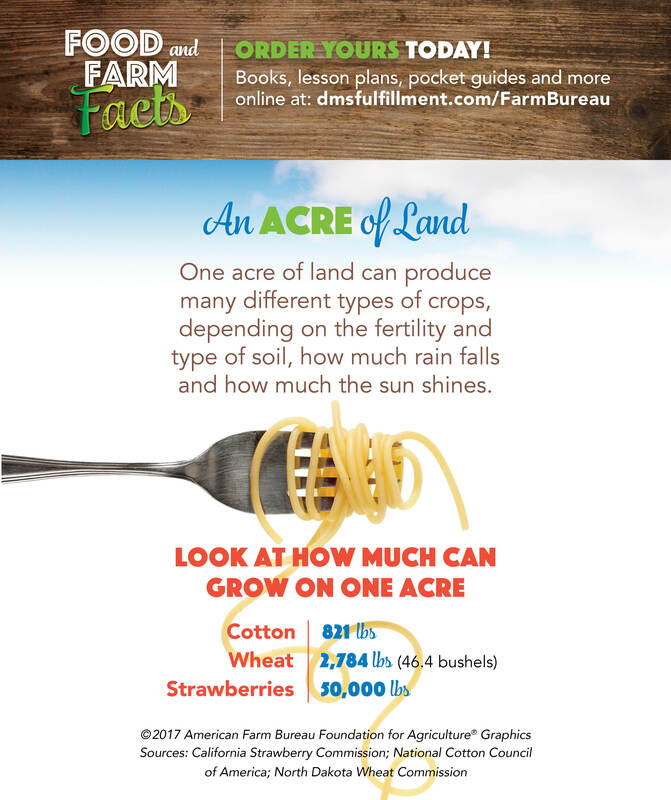 A common comparison is that one acre is about the size of a football field. (If you’d like to get technical, a football field including both end zones is actually 1.32 acres in size … but it is still a great way to visualize the concept!) The amount of food that can be grown on an acre depends on the type and fertility of soil, climate, rainfall and the crop itself. Bushel – a unit of measurement that dates back several centuries according to the Encyclopedia Britannica. At one time, farm products were measured by how much would fit in a “bushel basket.” Today, a bushel has a weight equivalent for each crop. For example, 56 pounds of soybeans equals one bushel, and 60 pounds of corn equals one bushel. At the end of harvest, South Dakota farmers calculate the total number of bushels produced in a field and divide it by the total number of acres to get the yield for that field. The most recent report from the U.S. Department of Agriculture forecasts that the average soybean yield for South Dakota farmers in 2018 is 49 bushels per acre, and average corn yield is 166 bushels per acre. Thanks to today’s precision agriculture tools, farmers can measure the productivity of their fields in a variety of ways, allowing them to produce more food more sustainably than ever before.